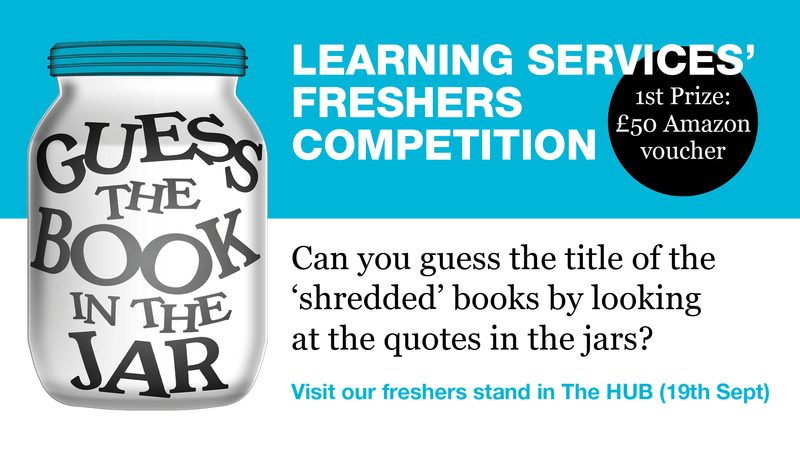 Competition entries will only be accepted in person at the Learning Services Fresher’s Stand between 10am and 2:30pm on Wednesday 19th September 2018. All entries must be placed on the entry form provided at the stand. 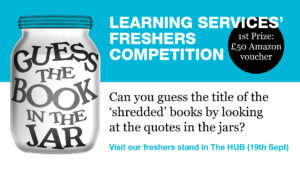 The winner will be contacted through their Edge Hill email address. The winners will be picked at random from a prize draw on Friday 21stSeptember 2018. Prizes must be collected by 5pm on Friday 12th October 2018. If anyone cannot be contacted or prizes are not collected by Friday 12th October the entry will become null and void and a re-draw will take place. This entry was posted in Learning Services, Library by Laura Riella. Bookmark the permalink.